East Africa Data Centre (EADC), part of Africa Data Centres, has today announced a partnership with Distributed Power Africa (DPA), a dynamic African renewable energy solutions company and a subsidiary of Econet Global, to install solar panels on its premises, enabling it to move towards achieving 100 per cent dependency on renewable energy and save Sh4.5m a year. DPA will set up solar panels on the data centre’s rooftop, pathways and the car parking bay, utilising all available space to maximise solar power output, providing daytime running of the facility and acting as a backup in times of power blackout from the Kenya Power mains. 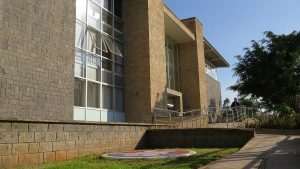 EADC is among a few Uptime certified data centres in Africa that house critical data for clients, including cloud services and data back-up on servers, and is now also supporting Kenya’s first Analytics Data Centre in Strathmore Business School, Nairobi. Its investments in green power are in line with strategic efforts to curtail global warming effects from use of fossil fuel to generate power. Globally, data centres are now consuming some 3 per cent of the world’s total electricity supply, with their power consumption growing at about 4 per cent a year. Data centres are therefore going green to conserve the environment and reduce operational costs. “We are now powering EADC with renewable energy standing at 72.6 per cent, allowing us to host, connect and support critical data for local and international companies,” said Dan Kwach General Manager, East Africa Data Centre. Last year, EADC launched a new dedicated USD5m Kenya Power substation to support its energy-intensive needs. It is estimated that 60 per cent of Kenya Power’s electricity is generated from green energy sources. Solar power will add to EADC’s competitive advantage and demonstrate its green credentials to win international clients. “Solar power for commercial and industrial use is becoming more and more popular because it is a renewable energy source, now available at a competitive price such that when it is combined with power storage, provides viable energy reliability as an alternative to the grid,” said Norman Moyo, DPA CEO. The solar project at EADC will be DPA’s first solar installation in Kenya. This comes at a time when other major companies and development in the country are shifting to solar power such as Two Rivers Development Shopping Mall and Carport with 1,280kW, Kaysalt in Malindi with 129kW, Strathmore School of Monetary Studies with 600kW. In other African countries, DPA has installed solar power at Graniteside Office Park and Call Centre in Zimbabwe with 95kW, KPMG South Africa with 50kW and now finalising on a deal to install 350kW at Boxlee in South Africa.